With a deep understanding of Silicon Valley innovation and a proven track record of growth, Mallun has led companies ranging from startups to Fortune 100 enterprises in developing transformational organizations, initiatives and products using data, technology and collaboration to shift behaviors and build new revenue streams. Mallun spent eight years at Cisco Systems, Inc. where as Vice President of Worldwide Intellectual Property, she led and built from the ground up the teams responsible for intellectual property protection of Cisco’s technology, products and innovation globally, including actions against a major foreign competitor with strong governmental ties and containment of international and domestic data breaches. While at Cisco, Mallun and fellow innovators came together to launch RPX Corporation to counter the spread of so-called patent trolls using a novel data-driven, market-based subscription model. As RPX’s EVP of corporate development and chief business and product officer, she guided the venture-backed startup to IPO in 2011 less than three years from inception and over $300 million in annual revenue. She served on the board of directors until its acquisition in 2018. Currently, Mallun is co-founder and chief operating officer of SaaStr, the world’s largest community of Software as a Service (SaaS) founders, executives, and entrepreneurs. Mallun also serves as the operating partner of the $90M SaaStr Fund and advises multiple fast-growing startups. Mallun is also a board director of KQED, Northern California’s public media organization, and ChIPsNetwork.org, a global community for women in tech, law and policy she co-founded in 2005. 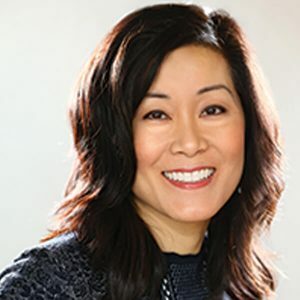 She has also been an instructor or guest speaker for the Stanford Technology Ventures Program, Stanford Directors’ College, Stanford Law School, and University of California Haas School of Business. Many hundreds of thousands have read and shared her articles, including the frequently discussed op-ed How Friendships Hold Women Back in Their Careers — and What They Can Do About. Mallun has received numerous awards, including SF Business Times’ Most Influential Women in Bay Area Business, Forever Influential, World’s Leading Intellectual Property Strategists, and Innovators’ Award–Serial Innovator, and been featured in various publications, including The Secrets of Silicon Valley, Stiletto Network, Entrepreneur and Law.com.